Designed to target and improve students’ standardized test scores, Omega offers several options for customized test preparation. Our proprietary SAT* Prep programs include Omega’s exclusive OutpAce® test prep curriculum, an initial evaluation test, private academic advisement conference, and guided instruction by Omega-certified teachers. 45 Hours – Platinum Solution: This all-inclusive program benefits students who are in grades 9-11 needing remediation in two or more academic areas, test-taking strategies, and guided instruction throughout the preparation and testing process. 22 Hours – Gold Strategy: This program benefits students needing remediation in one or more academic areas, test-taking strategies, and guided instruction. 12 Hours – Silver Boost: This program benefits students who may have previously taken the SAT and need to increase their score in one section of the SAT or ACT. End of course tests and final exams are becoming increasingly more important to each child in the country. Class curriculum has become more and more rigorous within increasing classroom sizes, leaving students to rely on their existing study skills to achieve a desired course grade and GPA. 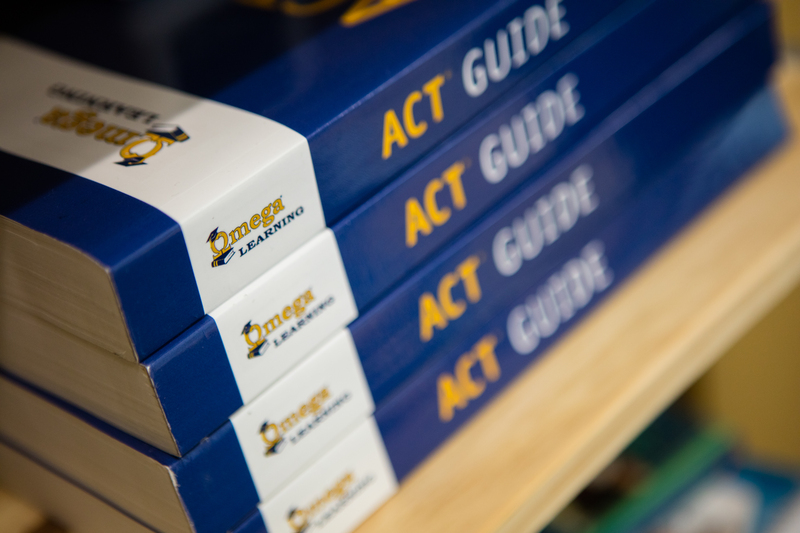 Omega’s individualized instruction can help your child prepare for their end of course test and succeed in Advanced Placement (AP) or Honors courses. Students may even satisfy graduation requirements faster, saving your family thousands of dollars. Schools require standardized bench-marking tests that determine their level of curriculum comprehension. The results of these tests are vital to your child’s academic placement in future years and even may determine promotion to the next grade level. In most states this yearly test is administered in the spring to students in grades 3-8 and helps to determine your students’ academic progress and our schools’ effectiveness as learning institutions. Omega understands the importance of these state tests and offers customized packages of instruction. Students benefit by learning test-taking strategies, taking practice tests, receiving remediation as needed. Omega students receive the highest quality of individual instruction by our certified teachers.